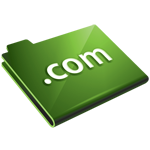 Of the three operations we have to perform to be on intenet, we’ve seen the first: choosing the domain name. Now, in this article we will talk about the second requirement: how to make a website or, more specifically, choosing the type of website. I’ll only explain what I think is essential that a business person should know when facing hiring a web design service: the common types of web sites. The main feature of these sites is that they have a lot of movement. They are sophisticated and very attractive. It is a resource used in the fields of art and entertainment, which seeks to impress the user. Flash is also used for gaming. CMS’s are one of the best and most popular solutions for corporate websites, blogs, even online shops. These are tools that allow us to build complex websites with many pages, multiple languages ​​and endless features. Many of these content management systems are free. In my opinion, a CMS is the best price-performance solution for SME. Some of the most popular are WordPress, Joomla! and Drupal. It is the ideal solution when we intend to sell online. The products or services are classified by categories or sections. When you choose a product, is added to a “shopping cart”. The payment is usually done on the same page by credit card. Of course, the company has access to a complete control panel, where you manage every aspect of the store. Among the most popular solutions are Opencart, Magento and Prestashop. The choice of the website depends on the type of business, product and customer. In any case, if we sell online the best option would be an online store. Por el contrario, If we seek a strong presence on internet with the possibility to scale that presence and the website itself, I would recommend a CMS. If instead we want to promote a very specific event, such as a circus, then a good choice would be the Flash system. Manager de UnSoloMundo. Especialista en Comunicación y Marketing y periodista de viajes. Manager of UnSoloMundo. Expert in Communication and Oline Marketing. Travel journalist. ¿Cómo elijo el nombre a la hora de registrar dominio?